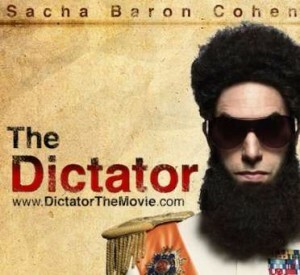 Here is the second trailer for Paramount’s ‘The Dictator’. It runs over two and half minutes and stars Sacha Baron Cohen. Sacha has given us instant cult classic characters such as Borat, Ali G, and Bruno. I’m glad his ‘Dictator’ film will be more of a film rather than the usual mockumentary. The film opens May 11th and looks to be hilarious. This entry was posted on Tuesday, March 27th, 2012 at 8:39 pm	and is filed under Film, News. You can follow any responses to this entry through the RSS 2.0 feed. You can skip to the end and leave a response. Pinging is currently not allowed. « Will Kenneth Branagh Direct the Next ‘Jack Ryan’ Film?!?! ?